Through conversations with friends who are Asian or have an Asian spouse, I’ve learned that most Asian parents are extremely demanding and hard on their kids when it comes to both academics and music. My parents expected excellent grades from me at all times (A’s are not good enough when you can get an A+), but they never pushed me when it came to the piano. Apparently, I was one of those rare kids who practiced on their own without any reminders. It was always easy and fun for me. So when my kids started on the piano, I wanted them to succeed, so I would sit with them through practice time. I remember interviews with The 5 Browns where the mother would sit with each of their five children for one hour of practicing each every day. She must have had someone else do all the cooking, cleaning and laundry! Since I have plenty of musical background, I figured that it could only help with their practicing. Of course, this has lead to countless head buttings with them both, but in the end, they do get the satisfaction of being able to learn a piece and really make music on their own. Doug disagrees with my methodology and thinks that I am way too hard on them. 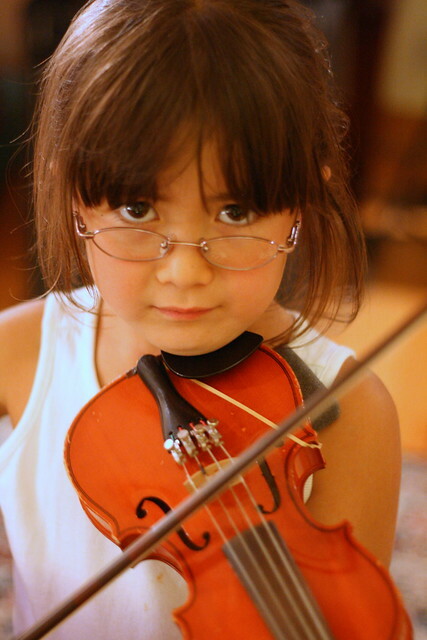 This summer, we all started on the violin. I found a local teacher that taught the Suzuki method. The kids are starting relatively late at ages 9 and 6, where Suzuki suggests starting at 3 or 4 years of age. I never liked the idea of those tiny robotic kids playing the violin, so I never wanted our kids to join this “cult” previously. 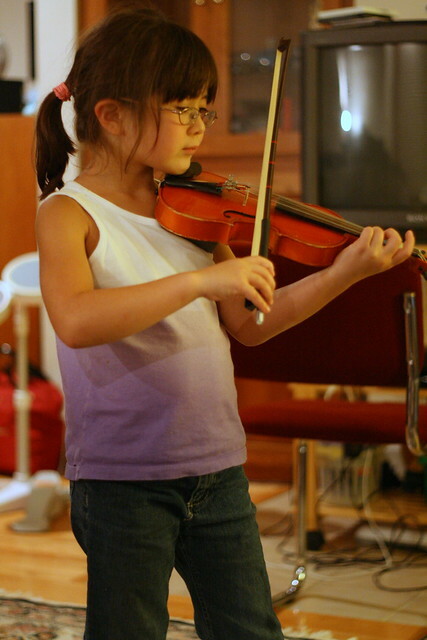 But little did I know that I would discover that my whole parenting methodology IS the Suzuki method. For more than forty years of experimental pedagogy, I have come to know without a doubt that ability is not inborn. Please raise your child to be a fine human being. Heart and ability depend entirely on the manner of nurturing. Everyone knows how important it is to cultivate seedlings with care, yet some parents are inattentive and indifferent to their children’s development. Without exerting any effort, they resign themselves to the thought that, “My child was born this way.” I hope you will not repeat this lamentable mistake from past eras of human civilization. Please do not fail to nurture your child. It is a mistake to think that your child’s future is only a matter of heredity or inborn qualities. In response to the skill and ingenuity of the nurturer, any child can be fostered to achieve a high level of ability. It is crucial that parents understand how to guide their children’s hearts and provide a motivating environment without anger or negative criticism. Oops, here’s where I fail. Tonight, after a long evening of soccer practice, homework, and excruciating piano practicing, I tried to give Adam a pass on violin practicing for one evening. 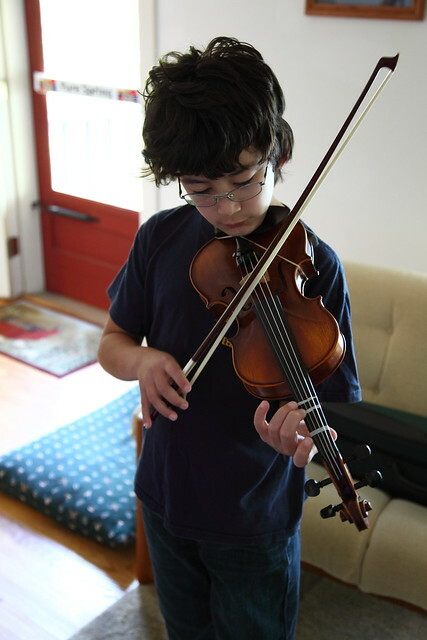 He refused saying, “No mom, I HAVE to practice my violin.” That’s my boy. Something must be working. I gave him a pass on taking a shower instead. Agreed. Nature and nurture are both strong contributors.